Coke? Pepsi? Which one taste better? My fellow writer and I decided that it would be interesting to do a soda taste test, and to see which soda tastes better. We made a poster that had both sodas on one side of the poster. 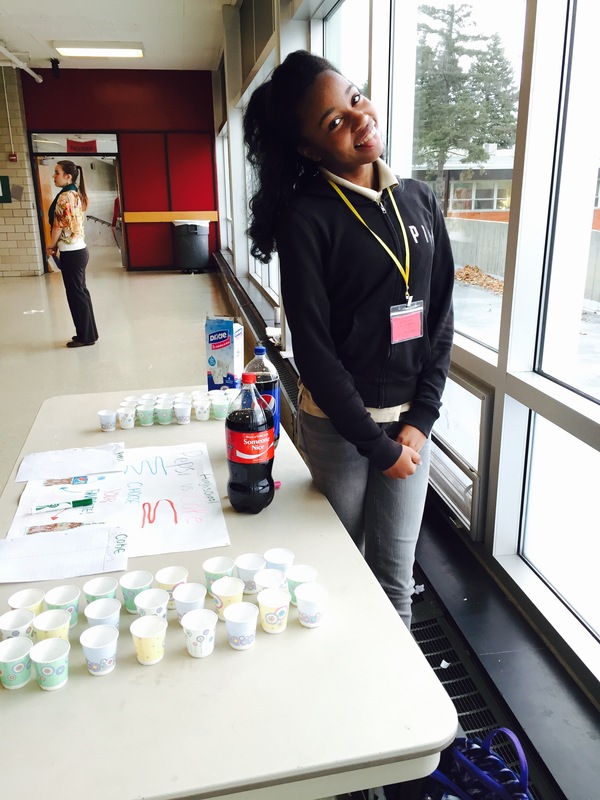 Once the HPHS students entered lunch, we had them come over and try both drinks and after they tasted it, they tallied which drink they liked best. The amount of soda we gave the students to taste was about a Dixie cup worth. With the data we collected it shows that people like Coke better than Pepsi. For some students, they said that they like Pepsi because it had a sweet taste, while others said they liked Coke because it had a really fizzy taste. Some people disliked Coke because it had a bland taste, which stayed in their throat. Overall, 41 people liked Pepsi and 56 liked Coca Cola. So, with that information, we see that Coca Cola is the favored soda of HPSH.